Click here for lunch program information. 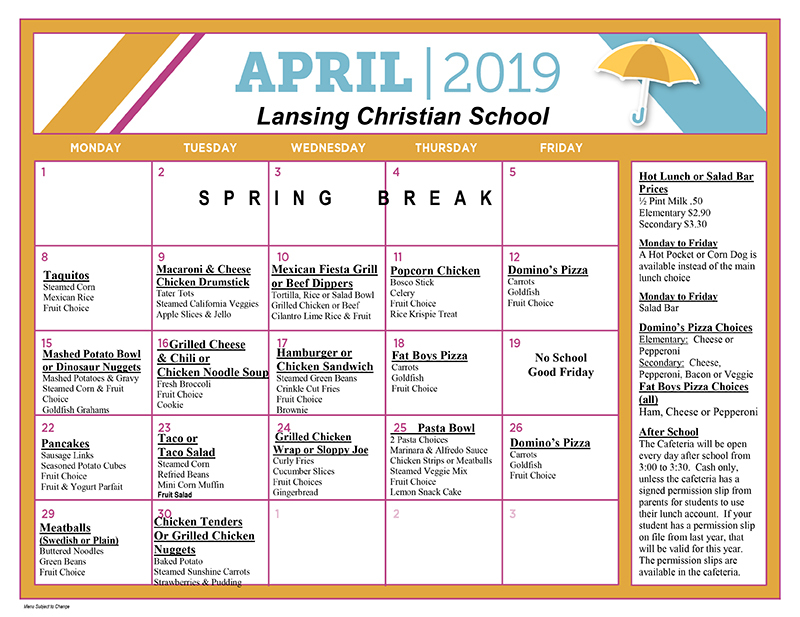 Click here to download a PDF of the current lunch calendar. Click here to make Food Service payments online.